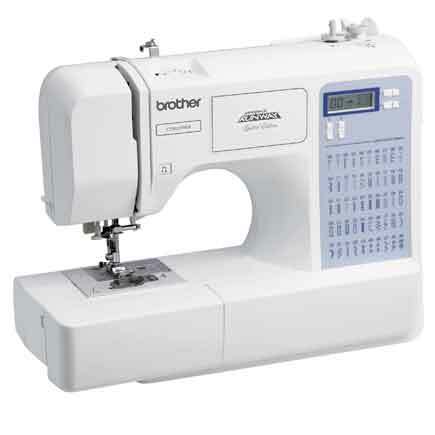 Details: Brother and Project Runway offer you a wonderful way to become a fashionista at a great value, with the CE7070PRW Computerized Sewing Machine with Wide Table. The CE7070PRW has 70 built in stitches that cover a wide array of utility, decorative, heirloom, and quilting opportunities for both the new seamstress and the long time sewing veteran. 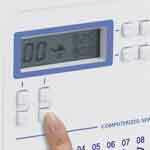 Simply select your desired stitch on the LCD display screen and adjust it to your specific needs. Computerized and easy selection! 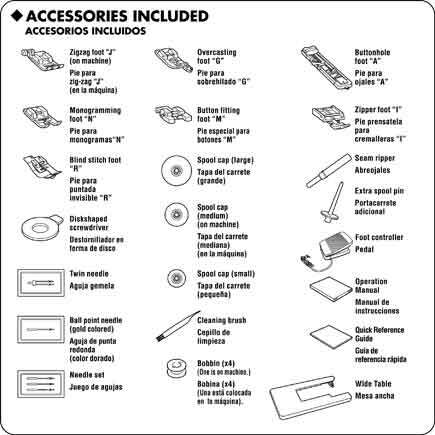 Also, choose from 7 one step auto size buttonholes and easily make a virtually perfect buttonhole every time. 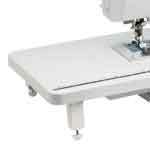 The CE7070PRW comes with a large sewing area and a wide table for your large scale projects and quilts . 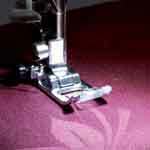 It has an easy to use needle threader and a jam resistant Quick Set top bobbin to help make your set up a snap. Expand your imagination with Project Runway and Brother. You’ll be happy you did. Brother and Project Runway offer you a wonderful way to become a fashionista at a great value. The easy to use CE7070PRW delivers couture-level, consistent stitch quality, and comes with features typically found only on more expensive machines. 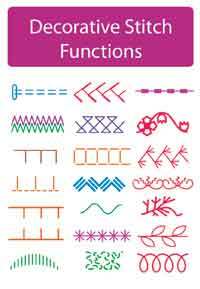 Customize in style with the full range of 70 built-in stitches, including specialty stitches for blind hems, zippers, and sewing on elastic, plus fine decorative satin, feather, scallop stitches and more. 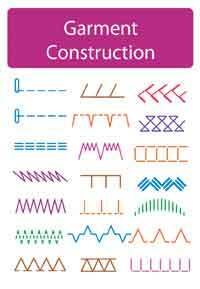 And for quick reference, your entire selection of built-in stitches is printed on the front your machine. Stitch selection is computerized and easy - Simply select your desired stitch on the informative LCD display screen and adjust the stitch to your specific needs. 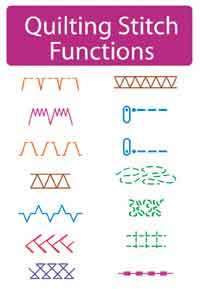 Choose from the 7 styles of built-in buttonholes, and easily create professional, elegant one-step buttonholes that are actually automatically sized to fit your specific buttons! This versatile model comes with a large sewing area and a wide table, ideal for larger projects such as prom dresses, formal wear, costumes and quilts. 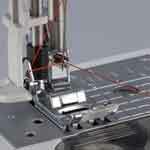 The entire threading system is designed for reliability and ease of use – from threading the top thread, to quick bobbin winding and the jam-resistant Quick Set bobbin. Expand your creativity with Project Runway and Brother! Simply choose your stitches and settings with the intuitive push-button stitch selectors, then see your stitch and stitch settings clearly displayed on the LCD display screen. The display shows all your important settings, and is very easy on the eyes! Ideal for prom dresses and formal wear, costumes and quilts, the included wide table gives you the extra space you need to better maneuver your project. 7 styles of built-in, one-step buttonholes are automatically sized to fit your specific buttons, for a true designer finish! 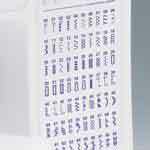 See all the built-in stitches available to you at a glance, with the stitch chart printed right on the front of your machine. 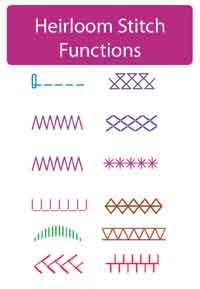 Enjoy sewing straight lines, and keeping your fabric the right distance from your needle, by following the convenient markings imprinted on the needleplate. 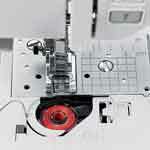 The exclusive Brother Quick-set top-load, drop-in bobbin helps ensure your bobbin stays in place, and helps provide the level of reliable, even stitch quality you need for fine sewing. Easy bobbin winding Fast, easy, and reliable! With your upper thread in place, and the bobbin set on the winder, just push the bobbin to the right, and the bobbin does the work for you!